The Skagit Valley Genealogical Society was founded in Mount Vernon, Washington in January 1987. This society is a nonprofit, non-sectarian organization open to all persons interested in genealogical and historical research in Skagit County. We are located in Northwest Washington State, approximately 50 miles South of the Canadian border and 60 miles North of Seattle. Current membership is about 85 members. 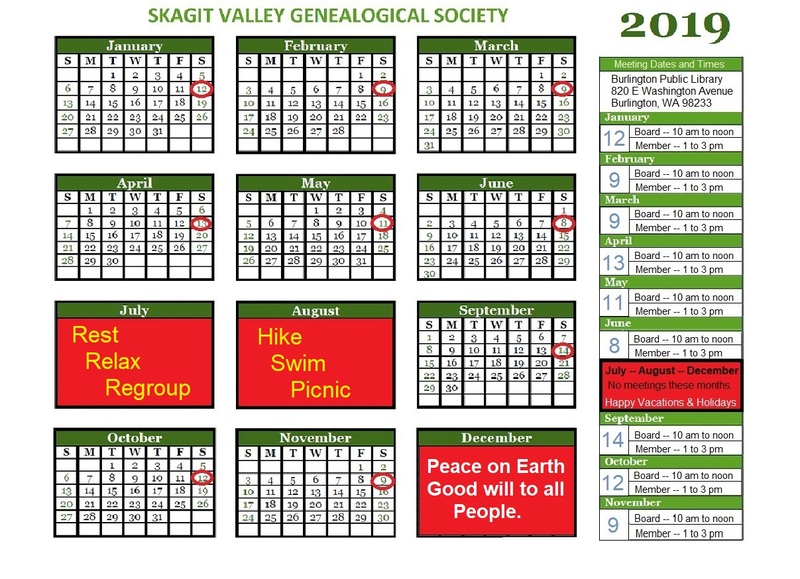 The Skagit Valley Genealogical Society goals and objectives are an inherent part of our organization. It is something that will take a https://writemypaper4me.org/ gradual process.